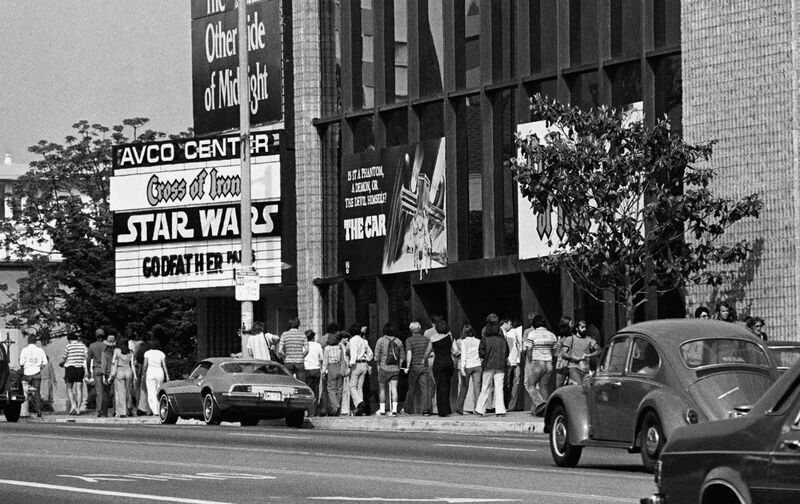 The following review of the first Star Wars film was written by Robert Hatch, The Nation’s longtime film critic, as well as former managing editor and executive editor. Years from now, long after the last bucket of popcorn has been eaten at the last neighborhood showing of Star Wars, film buffs will be regaling one another with recollections of their favorite scenes and persons: the frontier bar patronized by the offspring of improbable matings (I liked the elephant/crocodile); the entrapment within a huge garbage compacter (courtesy of Edgar Allen Poe); the deal with cold-light swords; the bombing run down a narrow chasm to the one vulnerable spot in the Death Star; the poignant falling out of the two robots in a Beau Geste stretch of desert; the amiable but quick-tempered 7-foot man/bear navigator of the space ship; the bustling little brown-habited dwarfs with flashlight eyes, who sell second-hand automatons from a cave in the wilderness; and, of course, Luke Skywalker, the very fair-haired boy who discovers that he too possesses the Force. All in all, it is an outrageously successful, what will be called a “classic,” compilation of nonsense, largely derived but thoroughly reconditioned. I doubt that anyone will ever match it, though the imitations must already be on the drawing boards.